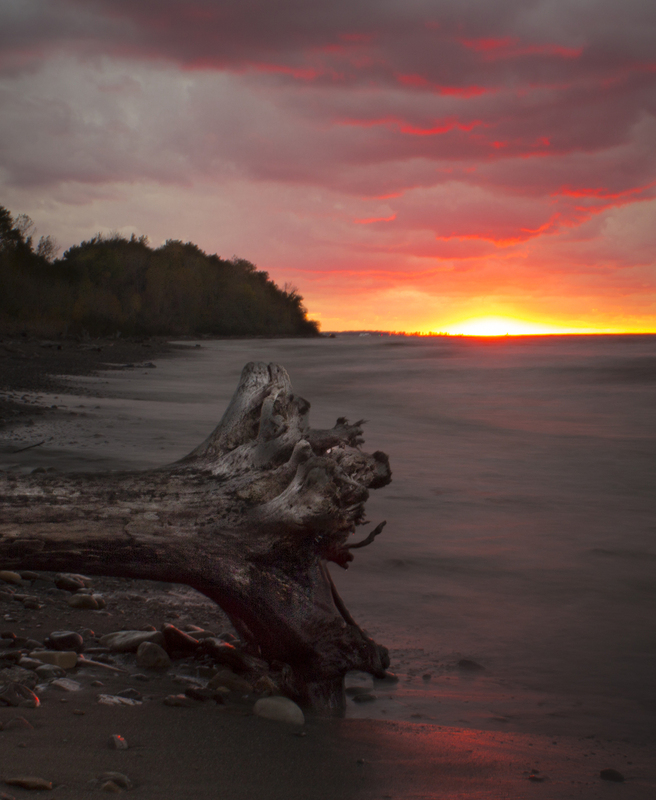 Last week I visited Lake Metroparks Lake Erie Bluffs park. 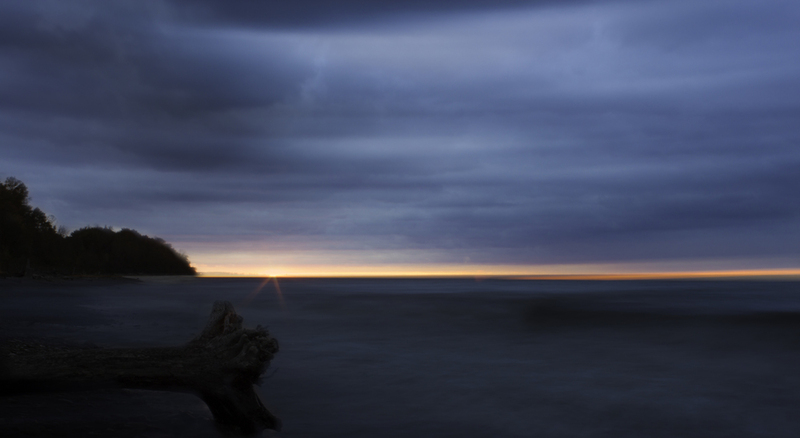 I was treated to the most beautiful sunset I have seen on Lake Erie. The weather was not the most pleasant - it was windy, rained, and hailed. At one point the waves crashed over my feet. In another incident, my camera fell over and fortunately was unharmed. I took several photos of the sunset which I cleaned up in post-processing. I also processed a few "artistic" images. Two of the photos utilize long-exposure panning. The other uses Lightroom plug-ins to oversaturate.